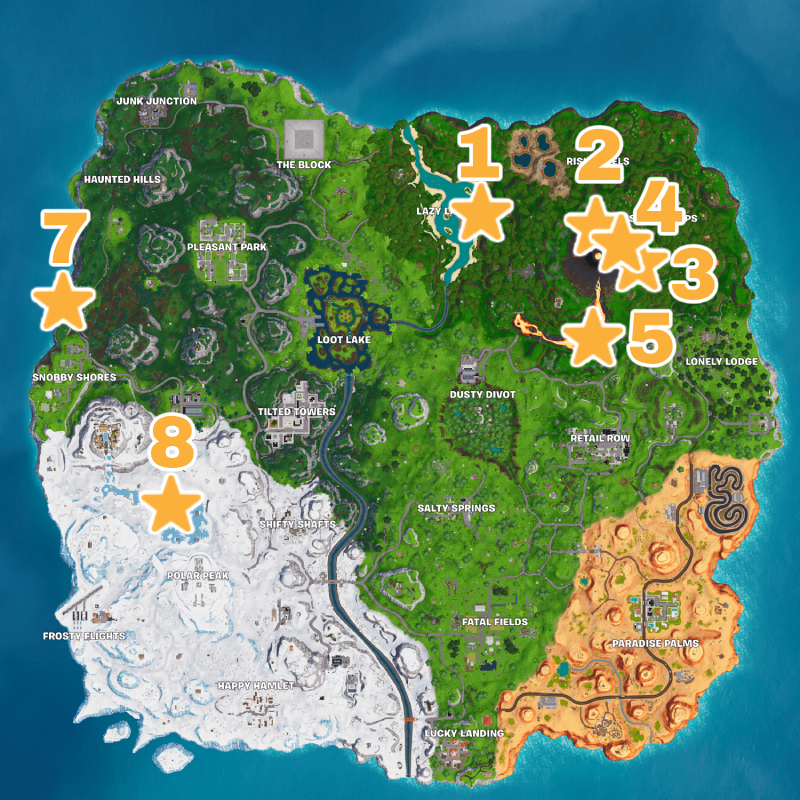 This guide will show you how to find the Fortnite Season 8 Secret Battle Stars and Banners to earn free Battle Pass Tiers and the Secret Banners from the hints found at the secret banner loading screens. 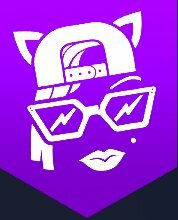 What Are Secret Battle Stars / Banners? 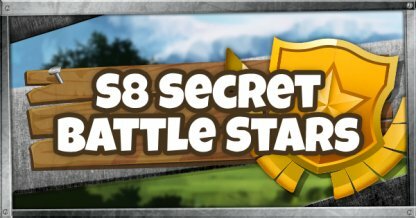 What Are Secret Battle Stars ? 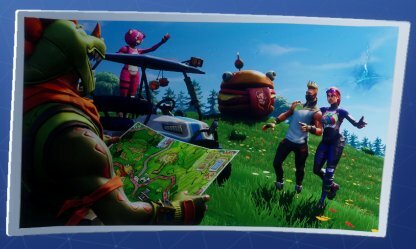 Fortnite's Battle Pass has secret Challenges that only unlock after finishing a week's worth of Challenges. 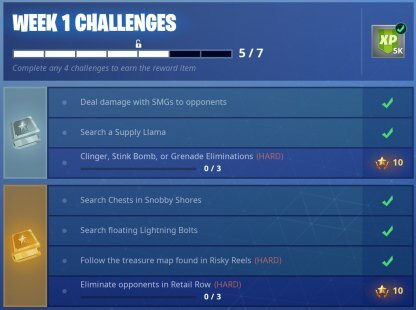 These secret Challenges reward you with Secret Battle Stars or 1,000 XP and Banners. 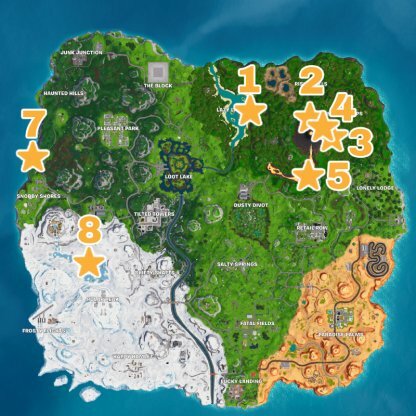 Finding a Secret Battle Star will award you with 10 Battle Stars. This will rank up your Battle Tier by one level. 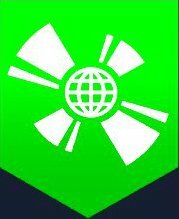 In case you have already reached Tier 100 of the Battle Pass, you will be awarded with 1000XP instead of 10 Battle Stars. Secret Banners will not give any gameplay advantages when equipped but they will let other players know of your achievements! 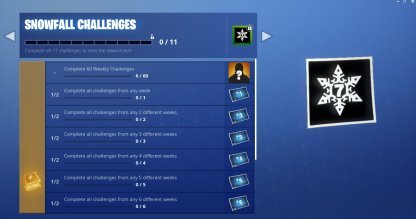 To unlock the secret challenge, players have to fully complete the Weekly Challenges! 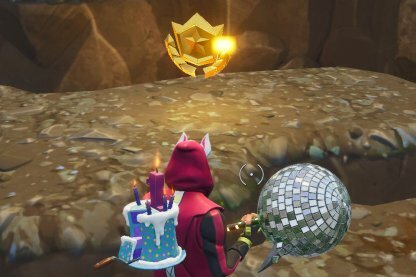 Upon completing a week's challenges, a loading screen will be unlocked containing a hint to the location of a hidden reward. You can access the loading screen from your locker. 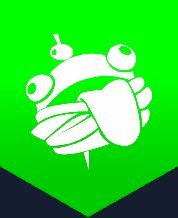 A Secret Battle Star is worth 10 Battle Stars - enough to go up 1 Battle Pass tier! 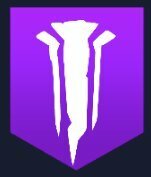 Secret Banners can also be unlocked when you complete these secret Challenges. Fortnite Battle Royale's 7th Season's Secret Challenges reward you with Secret Battle Stars! 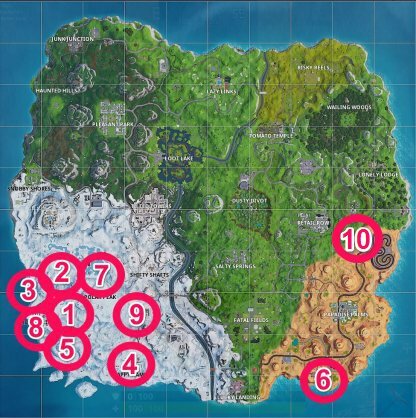 The map above will be updated as soon as the secret battle stars or banners are found! Check back frequently for regular updates!